Sharon Ayres is a corporate lawyer with over 25 years' experience of helping clients secure a preferential outcome on transactions. She handles every deal with a passion for achieving the best result for her clients, finding solutions to the trickiest of issues. Sharon specialises in private investment funds largely in the real estate sector (with particular interest in retail, industrial, student accommodation and mixed use) but she also advises on private equity funds, hedge funds, renewable energy funds; infrastructure funds and other investment funds that have an investment strategy that investors are willing to back - whether it is art, wine, litigation, football or social impact. Her projects include advising on EIS (Enterprise Investment Scheme) and Seed EIS investment funds, equity crowd-funding and investment structures involving public sector bodies investing alongside private investment. In addition to advising on the formation of investment funds (and the subsequent acquisitions/divestments made by such funds, refinancing and restructuring exercises) Sharon leads a team that advises institutional investments on taking key interests in such funds. Advice is given swiftly and cost effectively. Having advised on many restructurings and refinancings of complex cross-border structures following the global financial crisis that began in 2007, she is very mindful of the additional protections that can be included in documents to give clients peace of mind. Sharon also advises on complex joint ventures (whether corporate, partnership, trust-based or contractual in form) often involving multiple jurisdictions. Her team are specialist at managing cross border projects in a seamless fashion. 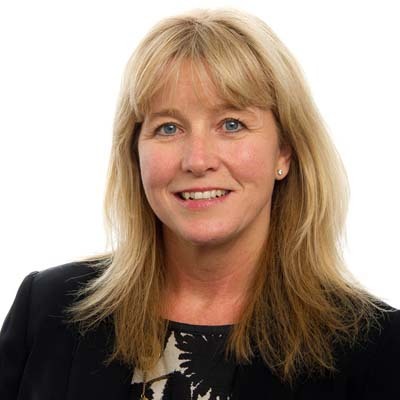 Sharon also has responsibility for the company secretarial team of Gowling WLG. The team offers a comprehensive company secretarial service to private companies. Clients increasingly require advice on governance issues - and getting this right is important. Sharon and her team advise on director's duties, conflicts of interest and related matters. Sharon's clients include fund managers, funds, investors of all types and in particular institutional or high net worth individuals, family offices, joint venture partners, asset managers, real estate developers and entrepreneurs, operators and business angels. Advised Universities Superannuation Scheme on the setup of a landmark £100 million+ joint venture fund between USS and Morgan Sindall Investments Limited investing in specialist supported housing accommodation. The innovative transaction brought together USS, one of the largest pension schemes and real estate investors in the UK, with MSIL's market-leading expertise in social infrastructure development and investment. This is a relatively new asset class and raised some novel issues to be resolved. The team provided advice on the structure of the venture at the outset; advice on the complex suite of documents and advice on the initial acquisition of the assets into the fund. Advised M&G Real Estate on the setup and structuring of a circa £105 million JV investment bringing together both national and international professional investors. Sharon and her team provided advice on the complex suite of documents forming the joint venture and on the variety of legal issues The joint venture fund was established to acquire a highly sought after UK office space, situated in central Manchester. Advising St Modwen on the £90m sale of its 45-year leasehold interest in its purpose-built student accommodation at Swansea University Bay Campus to University Partnerships Programme (UPP Group Limited, "UPP"), a specialist provider of on-campus student accommodation infrastructure and support services. The assets that have been sold comprise St. Modwen's interests in the completed student accommodation buildings, including ancillary commercial leases. The sale is by way of a disposal of the entire issued share capital of St. Modwen Properties VIII S.à.r.l. and St. Modwen (SAC 2) Limited and certain freehold interest. Advising the London Borough of Barnet on and implementing the joint venture arrangement on the £4.2bn redevelopment of Brent Cross. Sharon advised on the preliminary investment structure which involved looking at a number of complex options that would cater for the project over its life time. The joint venture effectively involves a the development of a new town centre, incorporating 7,500 homes, 27,000 jobs, three re-built schools, re-development of Brent Cross shopping centre, new parks and community facilities and an additional Thames link train station. Sharon and her team advised on the variety of complex tax issues; financial services issues; procurement/state aid issues and corporate structuring. The project was nominated for real estate deal of the year at the Legal Business awards 2017. Advised Telereal Trillium on its £120 million acquisition of Lands Improvement Group which specialises in acquiring greenfield and brownfield sites with a view to residential-led development, and has an estimated pipeline of 13,000 new homes across 2,500 acres of landholdings. Sharon led the corporate team which undertook due diligence and the negotiation to acquire the portfolio of companies in England and Luxembourg. Advised New Frontier Properties Limited on the £105 million purchase of the 302,000 sqft Houndshill Shopping Centre in Blackpool. The transaction involved numerous jurisdictions and complex financing issues. Advising Encore Ventures LLP on the launch of a number of EIS funds and on issues arising during the life of such investment funds. Advised a number of fund managers on the implications of the Alternative Investment Fund Managers Directive for their existing fund structure, and analysed the options available in order to comply. Established two wind farm funds for long standing client. The structures included a limited partnership in which a variety of investors invested into a feeder fund in the form of an English Limited Liability Partnership and a Scottish Limited Partnership as the carried interest vehicle. Sharon advised on the fund set up, the associated financial services promotions issues and related ancilliary documents. Advised an established client on a further capital investment and refinancing of a Student Accommodation Fund, with a fund value of £450 million. Advised on the formation of an English LLP to act as the fund management vehicle for a high frequency trading fund, and through which a number of managers and key employees would hold an equity interest. Advised a client on the set up of a £150 million real estate fund using BVI and Jersey companies for investing in residential real estate in Knightsbridge, Chelsea, Mayfair and Belgravia. Advised on the formation of a Benelux real estate fund, involving the acquisition of over 30 sites in two jurisdictions and establishing 14 new entities. Three different loan facilities were issued to the fund, raising debt of over €160 million and equity commitments from a variety of investors (including a number of pension funds) of approximately €130 million.